Arrowhead Clinics Lithia Springs, Georgia Office is located only 4 miles from the center of Mableton. Arrowhead Clinic has been offering the best Chiropractic Care to Mableton, Georgia car accident victims for over 40 years. 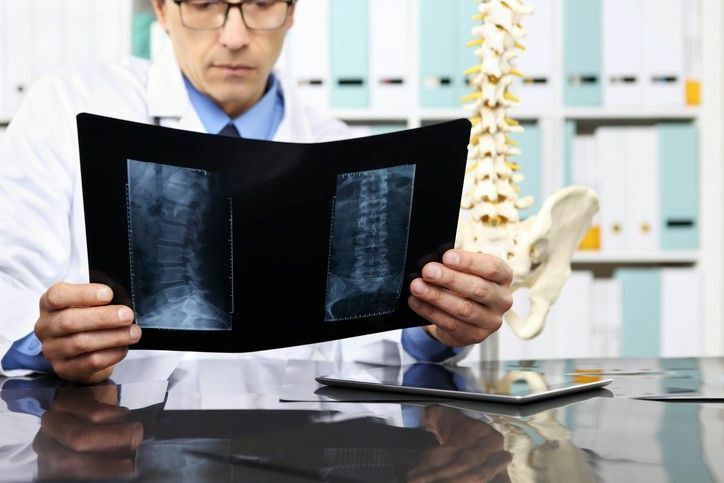 Our chiropractic doctors are experienced and knowledgeable in the treatment of personal injury accidents, and their primary goal is to successfully treat patients who are in pain from musculoskeletal injuries. Our focus is to assist you in recovering both physically and financially. At your free consultation, Dr. Erhabor will ask you questions regarding your accident, injuries, and any pain you may be experiencing. You will also be asked questions regarding any previous medical procedures along with your current health condition. Dr. Erhabor will then conduct a thorough evaluation to diagnose your condition specifically, and develop a treatment that is personalized to you. To efficiently diagnose your injuries, your chiropractor will evaluate any parts of your body that are experiencing restricted movement. This will typically include observing your spinal alignment, the way you walk, and your overall posture. Dr. Erhabor will also conduct imaging tests that can range from x-rays to MRI's. The results from these imaging tests will help your chiropractor fully comprehend the root of your pain, along with your body's mechanics. Chiropractors at Arrowhead Clinic in Lithia Springs specialize in treating soft-tissue injuries. These are the types of injuries which are very likely to occur during collision and auto accidents. Chiropractors use a wide variety of adjustment techniques and methods, among other therapies, to naturally treat injuries at the underlying source. The main goal is to reduce the need of harmful medications and unnecessary surgeries that actually disguise pain symptoms rather than fighting the root cause of the pain and damage. Our Chiropractic doctors at Arrowhead Clinic are fully invested in your recovery, and will even recommend you to a Personal Injury Attorney should the accident call for it. The purpose behind this action is to make sure you have a fair chance at receiving any amount of financial compensation that is rightfully owed to you. Our accident injury clinics use various adjustment therapies and techniques based on your specific condition and symptoms. Do not hesitate to schedule your free consultation with Dr. Erhabor. Be proactive and take action against your ailments. Living with pain after an auto accident or dealing with chronic pain is unnecessary. Call Dr. Erhabor at Arrowhead Clinic and let our Mableton Chiropractors start helping you feel better and get healthier today.